This morning we packed up and said goodbye to the Tenaya Lodge. 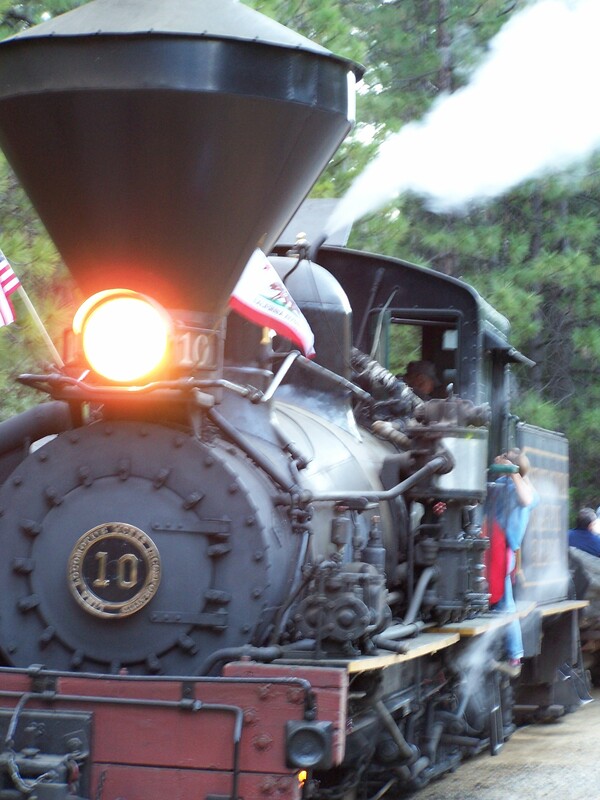 As we left the Yosemite area, we stopped to visit the Yosemite Mountain Sugar Pine Railroad. The narrow gauge railroad was a former logging train, but today is one-hour narrated passenger journey through the Sierra National Forest. We took the steam train at 11 a.m. on a four-mile journey, enjoying a brief stop in Lewis Creek Canyon to see the canyon before returning. After lunch in Oakhurst, we traveled through Merced before joining up with I-5 north to I-580 through Livermore and the East suburbs of the Bay. We took I-680 through Walnut Creek and Martinez and I-780 to Vallejo before driving through American Canyon on highway 29 to Napa Valley. We passed through Napa and Yountville before arriving in St. Helena to visit my great uncle who lived there. We had a great time catching up at his retirement community with his son and grandson. After saying goodbye, we could tell my great uncle was emotional. He said I may not every see you again, but please come back anytime. When we went to get in our SUV, he had come out on his scooter to see us off. That evening, we drove I-80 through Berkley and Oakland to take the Bay Bridge to San Francisco. The traffic was heavy coming the other way, but we were going against the flow as crossed Treasure Island. After making it across the bay, we exited on Embarcadero and checked into the Marriott Courtyard Fisherman’s Wharf. Later, we headed off to Pier 39. 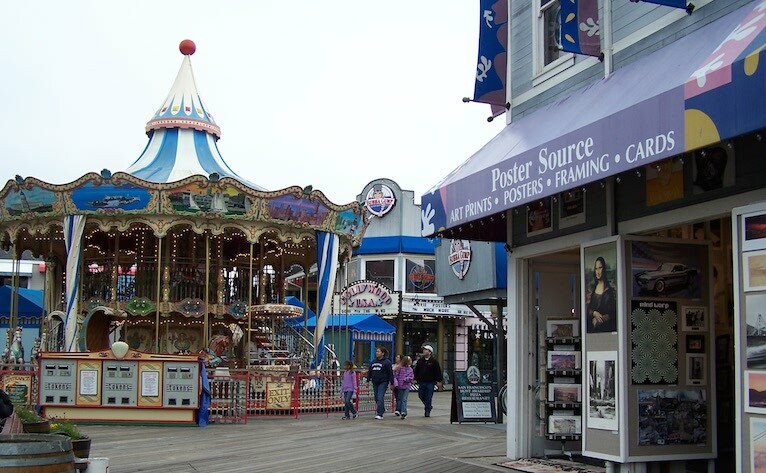 We walked the pier watching the crazy street performers before having a nice dinner at the Crab House. We had the wonderful sourdough bread and seafood platters. Mom had her usual clam chowder and we watched the sunset and the sea lions outside. Later we drove through the city before driving down Lombard Street, the snakiest street in the world. 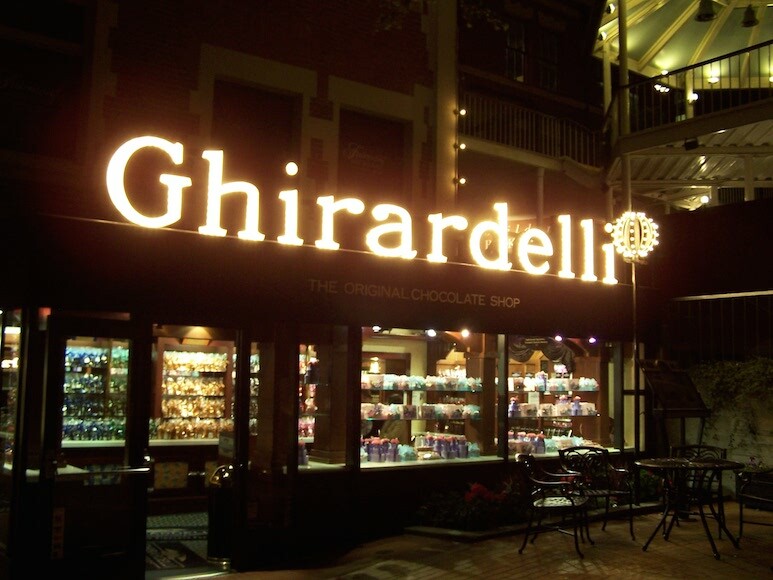 We finished the night by have a “Cable Car” dessert at Ghirardelli Square’s famous chocolate shop. It was a sweet way to end the night in San Francisco!